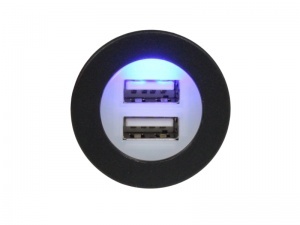 Panel mounted twin USB power socket with cover. 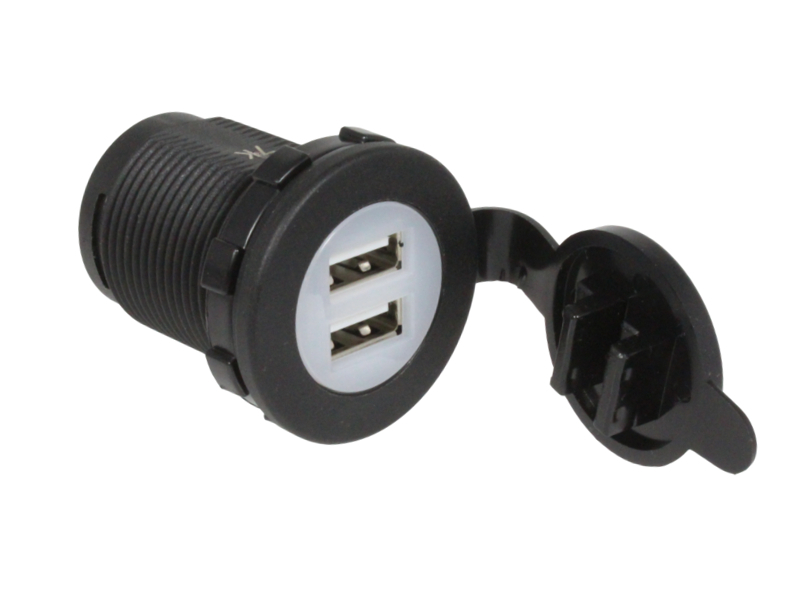 This power socket has an output of 5V and 2.1A max. and features a blue LED backlight to indicate that it's powered. 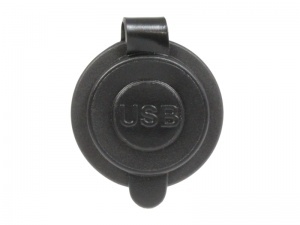 It can be used in 12V or 24V systems and is ideal for mounting in a dashboard or control panel. 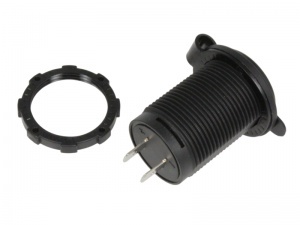 Fits in a standard 29mm diameter panel hole and is secured from behind using a nut over the threaded body. We have a range of panels and surface mounting pods available into which this socket can be fitted (see further info below). These panels and pods also accept our panel mounted 12V power socket, voltmeter, battery meter and ammeter, allowing you to create your own modular system.